Why FOCUS for USP <61>? We recognize the long incubation periods involved in this test so we set samples up almost as soon as they are received. All samples are prepared in ISO 5 hoods to eliminate laboratory contamination. Call us at 610-866-7272 for a free quote. There are many methods for determining the microbial bioburden of a drug product or drug substance. Rapid methods include monitoring culture impedance, direct cell count with a viability dye, lumen production from microbial ATP interacting with luciferase enzymes, etc. 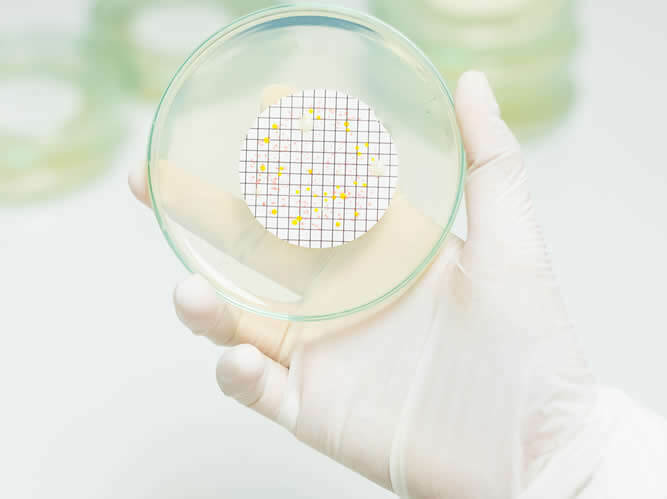 However, the broth and agar culture methods outlined in USP <61> are the compendial methods considered legally acceptable for testing general microbial contamination of pharmaceutical products. In fact the method is now also harmonized with European Pharmacopeia and Japanese Pharmacopeia. Any other rapid or conventional method must be compared to USP <61> and shown to be equivalent or better to be considered valid. The end goal for the USP <61> agar methods is to achieve “colony forming units” or cfu per gram or mL of product. Each organism or “organism cluster” in a product that is properly diluted and cultured, with appropriate media and temperature conditions, will eventually grow to a ”colony forming unit” that can be visibly counted with the naked eye. Although USP <61> is the legal referee method, this culture test is notoriously inaccurate. A single colony forming unit might actually be several microbes clustered together. And accuracy is further compromised when conducting a series of dilutions. Living systems do not always behave as predicted, and factors such as media age, water content, temperature distribution, and presence of inhibitory compounds may all impact the accuracy of bioburden count. In fact, the USP states that cfu counts which are within 50 – 200% of one another are considered to be equivalent counts. See below for a summary of individual culture methods outlined in USP <61>. 10 gm of sample is diluted with a pH balanced, isotonic diluent, usually supplemented with chemical neutralizers for any antimicrobial agents which might be present in the drug product, and further homogenized by shaking, stomaching, vortexing or other means. The use of neutralizing agents is important and must be validated. Pharmaceutical products are often preserved with parabens, aldehydes or quaternary ammonium compounds. Or the drug substance itself may be inherently antimicrobial. 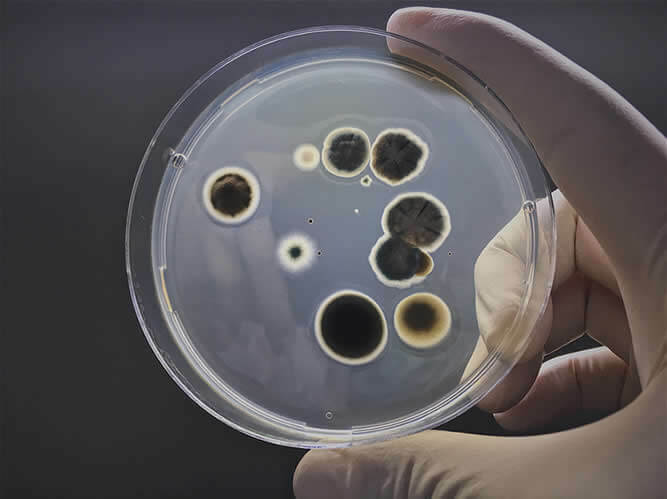 If these antimicrobial agents are diluted with the product and placed in agar plates, they will inhibit any microbes which might be present from replicating and thereby prevent them from growing into visible colony forming units. USP <61> lists several potential neutralizing agents, based on the offending interfering substance. The most widely used compounds are lecithin and polysorbate 80. This combination of neutralizers will typically inactivate most quats, parabens, iodine, and bisbiguanides. See the Neutralization section for more information. Once the sample is homogenized in a diluent, serial dilutions are prepared to approximate the count. 1 mL of dilutions are placed in petri plates, in duplicate. Sterile nutrient agar which has been tempered to about 45°C is poured over the dilution in the petri plate and the petri plate is swirled to thoroughly disperse the product and any bioburden therein. Once the agar hardens the plate is inverted and placed in a 30 – 35C incubator for aerobic plate count, and 20 – 25°C incubator for yeast and mold count. Inversion of the plates prevents condensation from the lids dropping on the agar surface and artificially spreading colony forming units. At the end of the incubation period, the plates are removed and the colony forming units are counted. For samples with a high bioburden, the dilution which represents 30 – 300 colonies are counted. FOCUS plates all dilutions in duplicate, so the average of the two plates is calculated, and the count is multiplied by the dilution factor. In other words, if an average of 72 colonies was counted on duplicate 10-2 plates, a count of 7200 cfu/gm of product would be reported for that plate count. All this for $30! As above but rather than plating, diluent with product and microbes are passed through a 0.45 micron filter, capturing microbes while allowing diluent and product to pass through. Filter is placed on nutrient agar plates, and microbes growth to visible colony forming units. Sample prepared in diluent as in Pour Plate or Spread plate but the resulting dilution is passed through a 0.22 micron filter. The filter is removed and placed on the surface of nutrient agar plates, allowing microbes to growth to visible colony forming units. Membrane filtration is recommended with chemical neutralization of antimicrobial agents is not possible, such as with antibiotics. The filtration physically separates the antimicrobial from the contaminant, leaving the microbe on the surface of the filter for further culturing. It is also useful when the limit of detection must be <1 cfu/gm, as the entire dilution will be plated. Most Probable Number (MPN) is less precise and accurate then Plate Count of Membrane Filtration Method, but can be advantageous when looking for limits of detection that are <10 and if adding certain inhibitory compounds to count specific types of bioburden. An example of the latter would be counting coliforms by MPN using Lauryl Sulfate Broth. Essentially, dilutions of product, or straight product, are placed in a series of broth tubes. These broth tubes are incubated for a period of time and then inspected for turbidity which is taken as a sign of growth. The count of tube dilutions with growth is then compared to a statistical table to obtain “the most probable number” per mL. Any microbial enumeration test must be validated to show that any organisms in the product can actually be cultured. 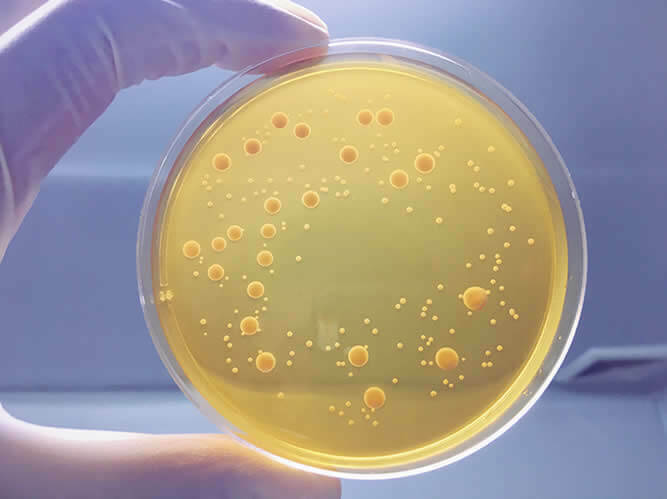 As mentioned above, antimicrobial properties of the product may inhibit the growth of a microbe in agar to become a visible colony forming unit. Validation or “suitability” is accomplished by inoculating plated product with low levels (<100 cfu) of test species and demonstrating equivalence to recovery of that organism in the absence of the product. Microbial enumeration methods are considered suitable if product results are 50 – 200% of control results. A Gram negative aerobic rod, skin and pulmonary pathogen. A Gram positive cocci, common inhabitant of human skin and nares, but also a pathogen. What is an acceptable bioburden?